Her biggest role maybe was in “The Black Swan” but not so many people knows that she is Meg Griffin’s (Family Guy) voice! Oh and…she’s been a Dior testimonial in 2012,just to say it! Il suo ruolo più importante è stato forse ne “Il Cigno Nero”,ma non molti sanno che la ragazza ha dato anche la sua voce a Meg Griffin(I Griffin)! Oh e…è stata testimonial per Dior nel 2012,tanto per buttarla lì! Mila has a really tiny but fit body,so she prefers short dresses that glorify those beautiful legs.She’s never kitsch or over-the-top.Her best outfit is tee and jeans(possibly a flaired one! )or maybe just a tracksuit to go to any basketball match with her sweetheart! Mila ha un fisico molto minuto ma super in forma,perciò preferisce usare vestitini corti che esaltano le sue belle gambe.Non è mai kitsch o sopra le righe.Il suo outfit ideale è in jeans(possibilmente a zampa) e t-shirt oppure una semplice tuta per andare con la sua dolce metà a qualche partita di basket! 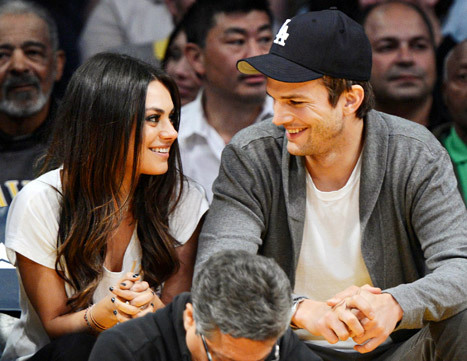 Hope you like Mila Kunis and you’re excited as much as me for her forthcoming wedding!!! Spero che anche a voi piaccia Mila Kunis e che siate in fibrillazione quasi quanto me per le sue nozze imminenti!!! Here you are Mila with Justin Timberlake in one of my fav Mtv Movie Awards EVER! (you can watch the video here). Omg why did Ashton not pick her in the first place? Such a cute couple! The time of That 70’s show is far =)! And now she has a bun in the oven?